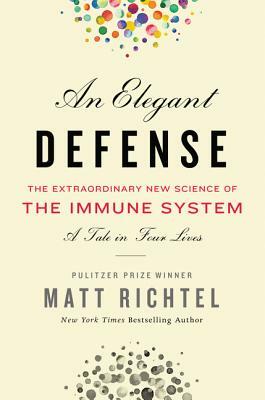 In this science-health-memoir hybrid, Matt Richtel chronicles the development of our understanding of the immune system. Woven into the story are two women with overactive immune systems, leading to numerous autoimmune disorders, a man whose immune system was so perfect that he had HIV that didn’t develop into AIDS, and Richtel’s childhood friend, a larger-than-life character whose body rejects the normal treatments for Non-Hodgkin’s Lymphoma. The personal narratives are inspiring, but for me, it is Richtel’s accessible history of immunology, from the discovery of cells to breakthroughs in treatment, that was particularly fascinating. And no wonder – Richtel’s background as both a New York Times reporter and writer of numerous thrillers made him the perfect person to write a compulsively readable science book.